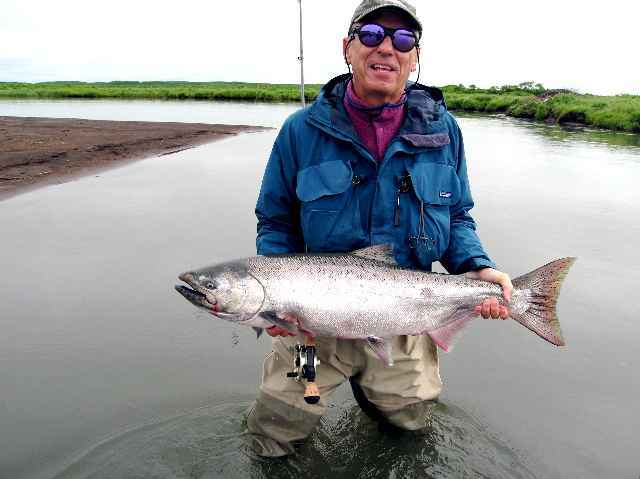 Painter Creek Lodge | Alaska from Peter Molick on Vimeo. 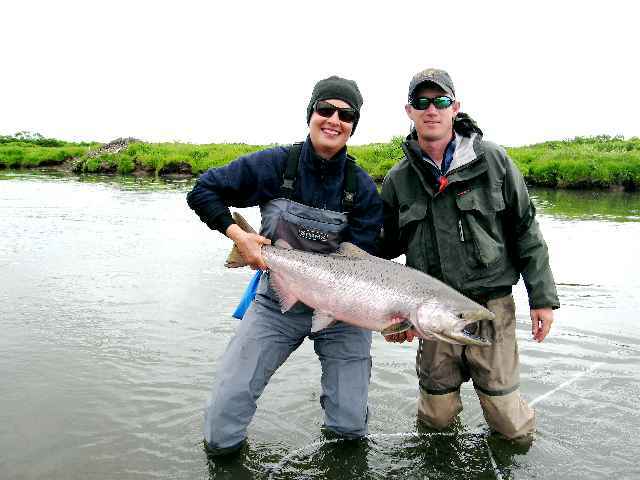 Located in the heart of the Alaska Peninsula on a rare parcel of private property, surrounded by over 4 million acres of Federal Wildlife Refuge, Painter Creek Lodge has been providing small groups of guests with exceptional fishing and hunting opportunities since 1983. 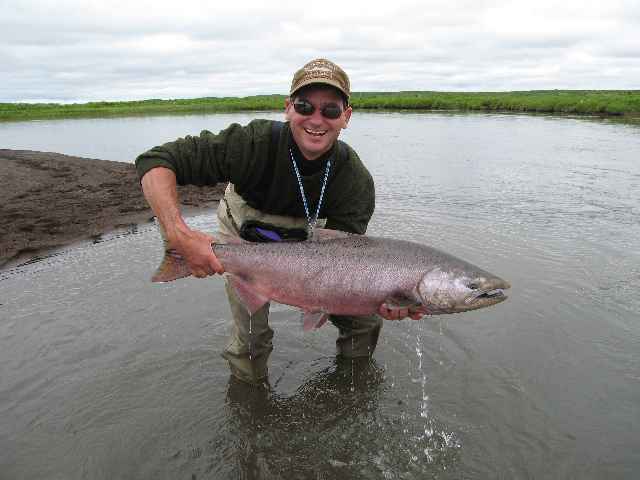 Our "home" waters, 100 miles south of King Salmon, Alaska, is a 50 mile stream and river system draining into Bristol Bay, and supports a world class fishery. There is no other access to the system, making it, in essence, a private fishery. The vast majority of our guests have never seen another angler; At Painter Creek you can truly have a wilderness stream all to yourself. 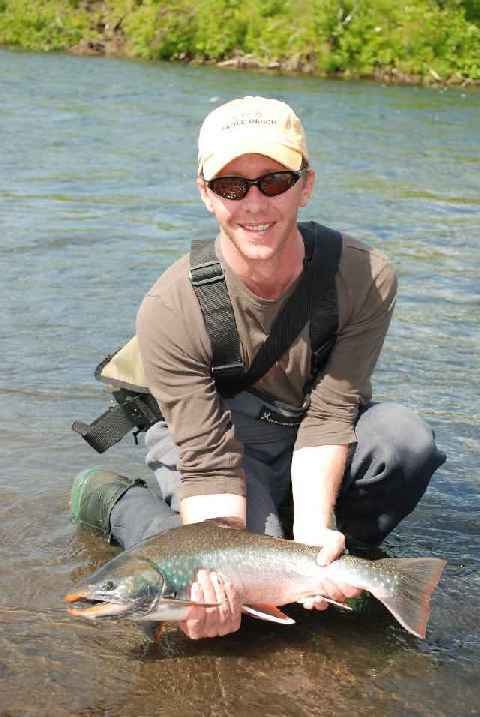 Alaska Coho Salmon - Underwater Camera from Robert J Peters on Vimeo. Our philosophy is simple . 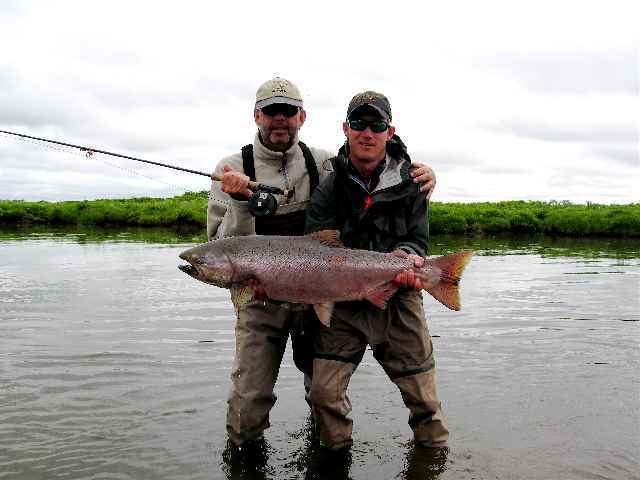 . .
"Provide the best possible alaska angling adventure for a small number of anglers, in a truly unique setting." 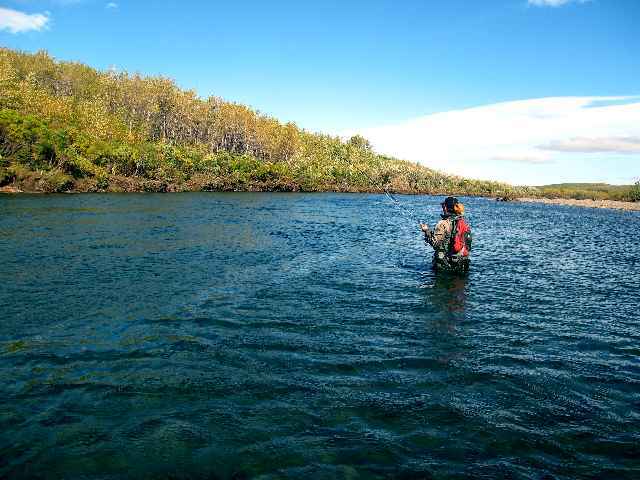 At Painter Creek you can experience a full range of river and stream fly fishing,from trophy char in a crystal clear creek winding through tundra beneath glacier clad peaks, to 30 pound king salmon fresh from the ocean. We access our 40 miles of home water - tidewater to headwater - by jet boats based at the lodge, destinations determined by seasonal runs and guest’s desires. 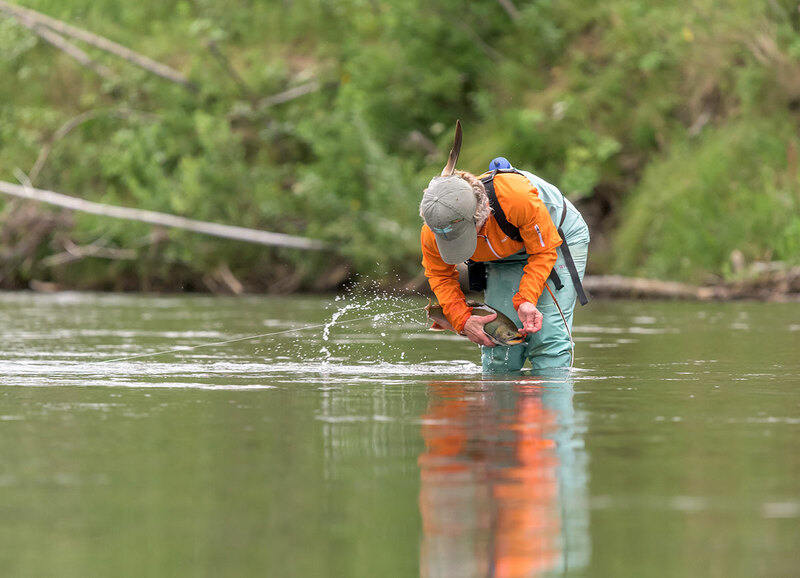 Fish start entering our system in late June, and arrive in ever increasing numbers throughout the summer, culminating in a surge of silver salmon into the river in mid to late August, and lasting through September. 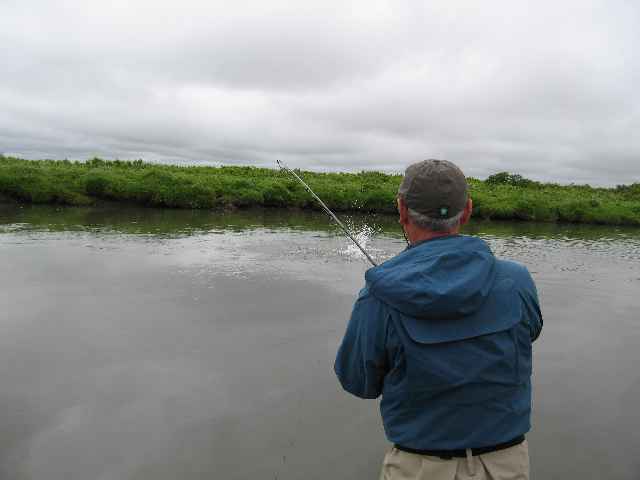 There is guide and boat for every 2 anglers giving us the ability to move around at will. The above video was made September 2014 at Painter Creek .... enjoy! Waking flies for bright silvers, chums, and big char is hard to beat .... visual takes are an anglers dream! 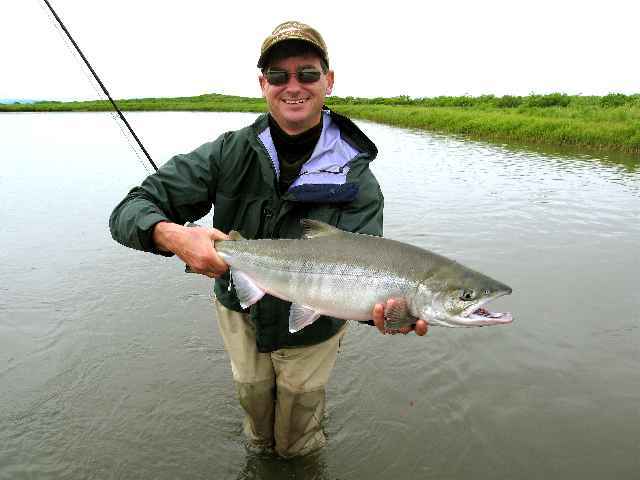 Our home water is also one of the best fly rod fisheries in Alaska for king salmon, one of the world’s premier game fishes, . Most of all, we offer solitude in a remarkable fishery : since 1983, our guests have never encountered another angler on Painter Creek. 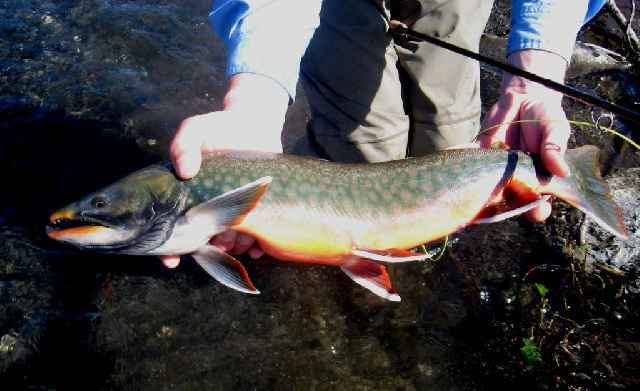 In addition to our home system, there are numerous nearby fly-out rivers and streams, most located within 20 miles of Painter Creek. 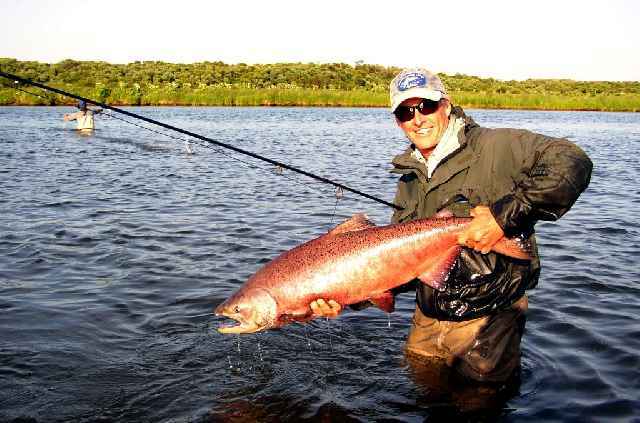 These destinations offer world class fishing for all species, and are rarely, if ever, visited by other anglers. 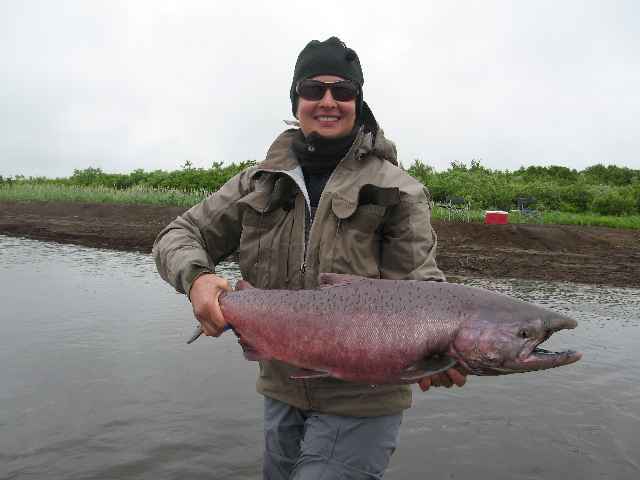 Fishing The Bristol Bay region of Alaska has changed dramatically the past 30 years; A profusion of lodges, tent camps, and other operations have led to "combat fishing" conditions in many areas, our location and fishery make it possible to have a stream all to yourself ......... rare indeed these days!